Sculptural Chalk Drawers by Nikolas Bentel Create Dots, Circles, and Lines on Chalkboards and Sidewalks - Colossal. 349 A hand-drawn animation - Kristen Lauth Shaeffer on Vimeo. Salted Dark Chocolate Fudge Donuts - How Sweet Eats. The Pits - on Vimeo. The best brownie recipes on the internet - A Beautiful Mess. 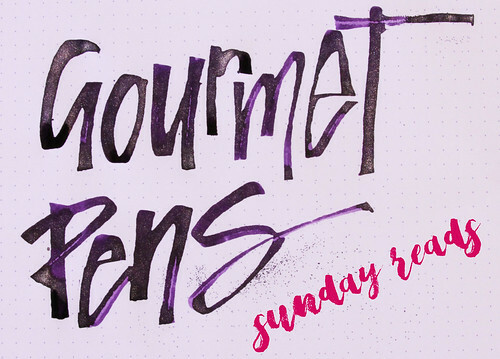 Best brush calligraphy pens for beginners - Dawn Nicole Designs. Lemon poppyseed bundt cake - The Vanilla Bean Blog. This Year’s Comedy Wildlife Photography Awards - Sad and Useless. Watch the Kīlauea Volcano’s Fiery Crawl to the Sea in This Video - Colossal. Fierce Feathered Portraits of Brooding Birds - Colossal. BBC Earth Has Been Quietly Uploading 10 Hour Loops of Calming Nature Scenes - Twisted Sifter. Cute cactus cookies - Sweet Ambs. An Amazing Flyover of New York in a Resolution Higher Than Your Monitor Can Handle - Twisted Sifter.